Indie Retro News: Popeye - Another arcade port, but this time it's for the VIC-20. 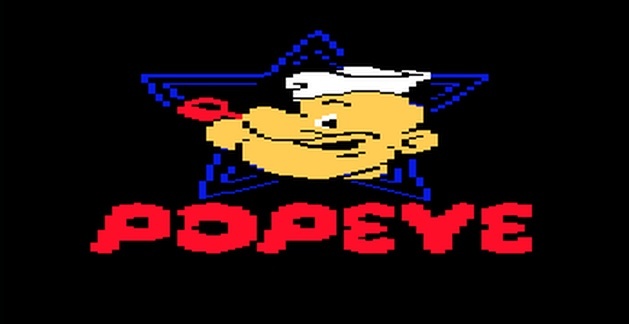 Popeye - Another arcade port, but this time it's for the VIC-20. This week has been non stop for retro games especially ports, as another one has surfaced in the form of ' Popeye ' for the VIC-20 developed by Beamrider as a port from the original 1983 Arcade game. In a similar vein to Donkey Kong albeit not as good, you play as Popeye and must collect hearts, musical notes and the letters H-E-L-P that the lady character Olive drops from the top of the screen to complete the level. But be warned, just like the cartoon, Brutus will get in your way with the help of the bad Sea Hag that can be dealt with by a handy tin of Spinach!